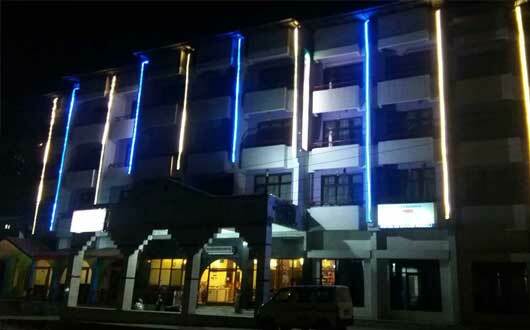 Stay in the best river facing 3 star luxury resort hotels in Manali near mall road Kullu. 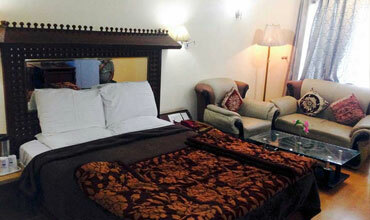 - Room Size 300 Sq. 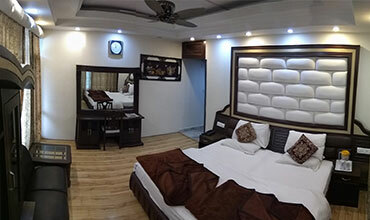 ft.
- Honeymoon Suite Room - Size 300 Sq. ft. & Luxury Suite 400 Sq. ft. 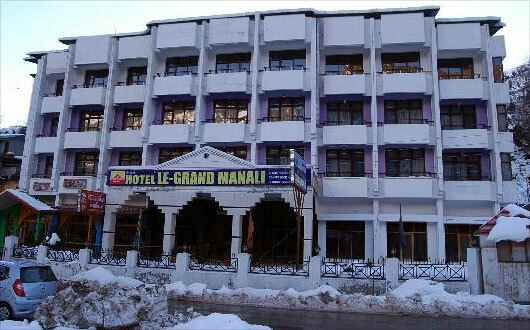 Welcome to Hotel Le Grand Manali, the newest luxury hotel of Manali. Located on the back of river Beas, this exclusive hotel, overlooks the snow capped peaks in the far horizon, pinescented, fresh mountain air to breathe, rugged slopes and wide valleys. Built in a very contemporary style, the environment of the resort is invigorating and breathes a freshness that promises to rejuvenate you. With its rich interiors, luxurious furnishings, imported wooden flooring, balconies facing the valley and snow clad mountains, and it is the ultimate paradise for honeymooners and nature lovers. 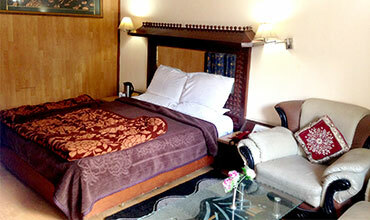 Panoramic view from the room balconies facing river 'Beas' and snow clad mountain peaks.